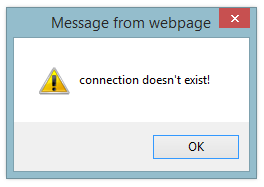 If there is ever a moment when you need your internet connection to work, there is a very good chance it is at that very moment your internet connection will fail. This is one of those universally accepted truths...I think. Anyway, building an app or a site whose functionality relies on an internet connection being present is tricky. You can't always guarantee that an internet connection will be available when your app requires it, and this is especially true on mobile devices when your internet connectivity might be flaky. To avoid situations where something you create misbehaves because an internet connection isn't available, you need a way to detect whether an internet connection exists. The best part is that it isn't very hard to do. If we can't access that file, this means an internet connection doesn't exist or something like a firewall or Nicholas Cage is preventing your app from connecting to the internet. Change the URL to point to any file that you know exists - probably on your own server. That's all there is to it. To see a full working version of this code, check out the source for the example you saw earlier from the following location. The first thing we do is create the xhr variable and initialize it to a new XMLHttpRequest object. This object contains all of the properties and methods you need for sending or getting data from across the internet without requiring you to refresh your page. The open method is pretty interesting, so let's look at it in more detail. Our HTTP method is going to be HEAD. There are several HTTP methods available that you can specify, but we want to use a method that simply checks on a file without actually downloading it. The HEAD method fits that requirement. The random number tagged on as part of the URL is there to prevent a cached result from being returned. The last argument we specify is whether we want this request to be done in the background asynchronously or whether we want this to block all other code from executing and run synchronously. Whether you specify true (asynchronous) or false (synchronous) depends entirely on your app, but you probably just want to keep it at true. Besides providing for a better user experience where your page won't look frozen until a response is returned, some	browsers like Chrome complain if you try to make requests synchronously. There are two checks we make here to determine the state of our request. Do determine if our internet connection exists, we need to inspect the HTTP status code (xhr.status) that gets returned. Looking at the various status codes goes well beyond the scope of this article, but as long as your status code falls within 200 and 303, you are in good shape and this entire function returns a true. If your status code goes outside of that range, nobody really knows what is going on. To be safe, our code returns a false to indicate that the connection doesn't exist. It is very likely be that the file you specified as part of your request doesn't exist and needs to be altered. It could be that something else is preventing your connection from succeeding. If you see false being returned consistently, that is a sign that you need to troubleshoot your connection. After writing this article, several people asked me why I don't use the navigator.onLine property to check whether a connection exists or not. 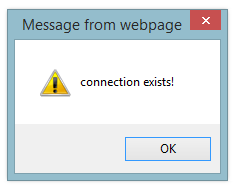 After all, this property's sole reason for existing is to tell you...whether a connection exists or not. It seems like the obvious choice, right? Well, not quite! Here is why I don't like to use it for what we are trying to do. What we are doing is checking if we have an internet connection. The reason we are doing this is to actually connect to the internet and do something with some remote data. Simply checking if we have a valid connection isn't adequate. I could be connected to a local network and not have access to the broader internet. I could be in a virtual machine with a virtual network adapter that always shows an active connection...even if such a connection doesn't actually exist. You may have a firewall that causes problems. There are many cases where your browser will falsely report a connection exists, but the navigator.onLine property will return true. 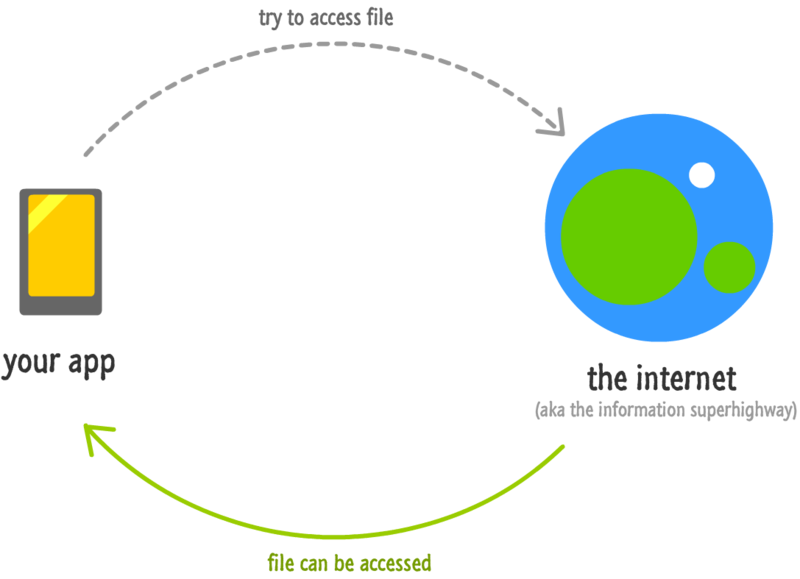 By making a web request like this article describes, there is no ambiguity on whether your page can connect to the internet. That's why I prefer the XHR approach as opposed to the navigator.onLine property. More and more of your sites and apps store state in a remote location. Having an internet connection at all times when using your phone or computer or whatever is no longer a luxury for many parts of the world. It is a necessity. Despite that, we (and your users) always manage to get ourselves into situations where an internet connection might not always exist. I'm looking at you Mammoth Caves. For those moments when your site or app doesn't have an internet connection that it desperately relies on, this code provides you with a basic solution for how to start dealing with it.